What it’s about: Middle school is hard for every kid, but for Auggie, who is about to attend school for the first time, middle school will an even greater challenge. Auggie has had a facial deformity since he was born. While he has undergone many surgeries his face still doesn’t look like your average face. As Auggie puts it “I won’t describe what I look like. Whatever you’re thinking, it’s probably worse.” Other than his facial deformity Auggie is an ordinary kid, he has no learning disabilities or special needs. But can he convince the other kids in school that he is just like them? What I Like: This really is a heartwarming story. Auggie is a very likeable character, and you feel for what he has to go through. It is amazing how accepting and understanding Auggie is, especially given all he has been through. Let’s be honest though, almost all of us have gone to middle school, and it is no picnic even when you look like everyone else. Kids can be cruel. There are those who are more accepting, so I believe Auggie would have friends. I also believe other kids would be cruel to Auggie and his friends. And it isn’t just the kids, but Wonder proves that some parents can be just as ignorant. I like how the book changes character point of views with each part. It is nice to see how his sister Via feels, because while she loves her brother it would be a difficult situation for her too. We also get to see why those who befriend Auggie do so. People fear what they are scared of, and people who look or act different scare people. Sadly this is a fact which will not change anytime soon. Those who are willing to look past Auggie’s looks are rewarded with getting know a great kid. I really enjoyed this story. I just wish kids really would learn to look past how someone looks and get to know them for who they are. But like how we judge books by their covers, we also judge people by how they look. Wonder teaches us that we must be tolerant of those who are different and teach our children to be accepting also. 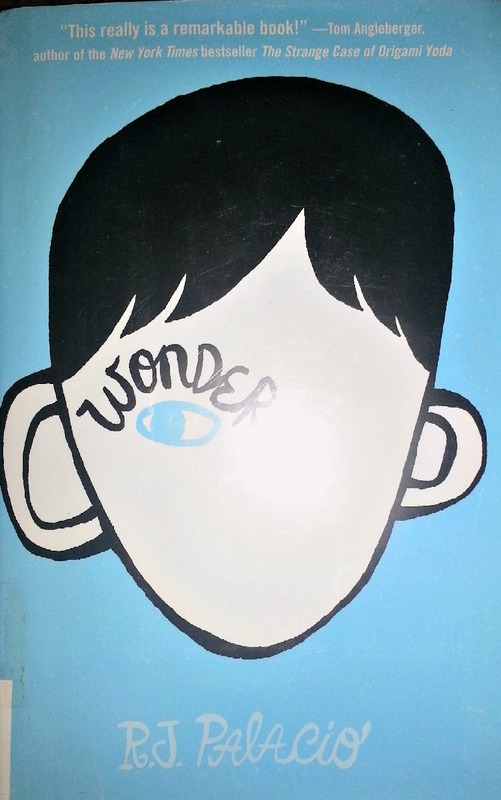 "Review: Wonder" was written November 1st, 2012	by sunshinetree, and filed under Book Reviews and tagged acceptance, children's, friendship, life.